We make sure you get the best service possible. We have selected only the greatest logistic companies to deliver your goods. Once you add the items to your cart, delivery fees are calculated automatically giving you the lowest shipping cost available according to weight / volume / place of delivery . Alternatively, you can also pick up your goods yourself. 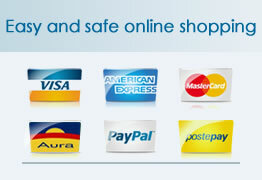 In that case we will send you a quote of the items you are interested in, delivery fees excluded. Lead time depends on each manufacturer and transit times on the forwarder chosen for your order. 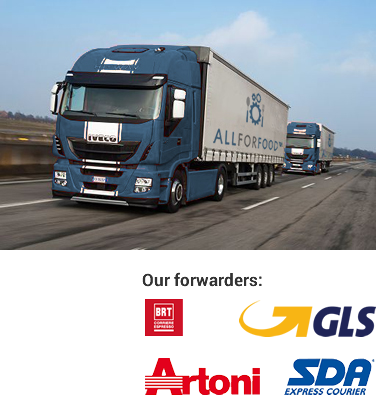 AllForFood can ship anywhere worldwide. We select the best International forwarders to guarantee quick and safe delivery. Count on AllForFood for a guaranteed, professional and reliable service.